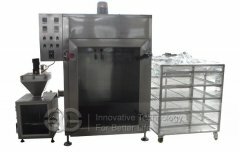 The oven is used to cook, dry, bake, smoke and color food, aiming to make food dehydrate and have special flavor. good efficiency, high quality, stainless steel, favorable price, excellent performance, new design, stable usage, longer life expectancy, evenly heating, environment-friendly, energy saving, meet different needs. Smokehouse is the best choice to make sausages, seafood, smoked meat, roasted chicken, roasted duck, etc. It is widely used during the meat processing in the food industry. It has been more than ten years from the invention to the development of a wide range of applications. 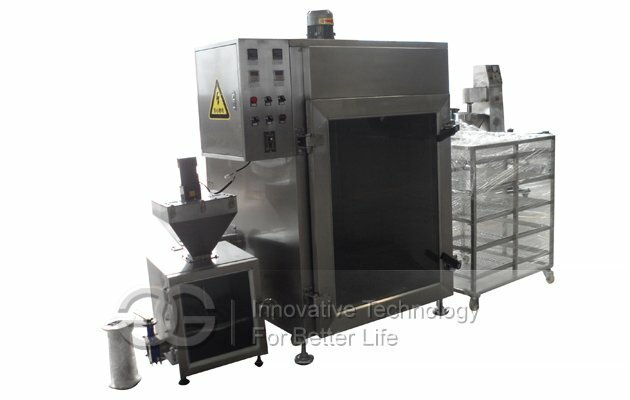 Continuous improvement and integration of domestic and foreign technology through relevant experts, the machine is equipped with cooking, drying, baking, smoking, coloring function and has a very good energy-saving effect. Smoking refers to the process of baking by using timber with the incomplete combustion of volatile substances. The purpose is to make the meat dehydrate, enriching it special flavor. The entire process can improve meat color and have some antiseptic and antioxidant effect, so as to extend the shelf life of meat products. The entire process includes cooking, drying, baking, smoking and coloring. Cooking requires an external steam generator. The steam generator has three heating ways, electric heating, natural gas heating, coal gas heating. The steam generated by the steam pipes into the furnace to achieve the product cooking function. 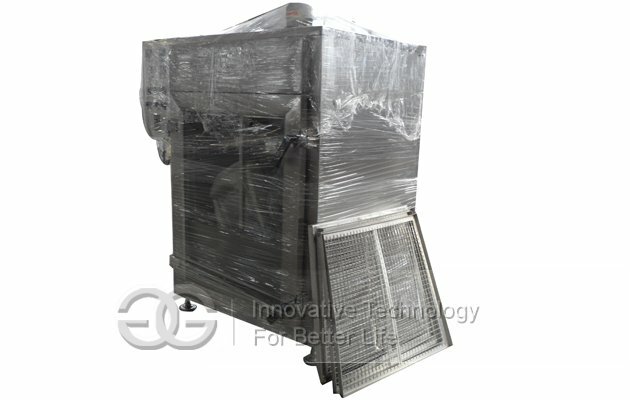 Drying can realized by electric heating drying and steam heating drying. Baking is by adding fuming material and sugar at appropriate proportions to fume- sending box. Coloring can be adjusted by using different material. 1. Stainless steel material. The material ensures machine quality and life expectancy. 2. Excellent quality. The machine has good workmanship, work stably, and can be very lasting. 3. High efficiency. The heating is very fast and the heating is very even to make the good-quality food. 4. Beautiful and wonderful performance. The high-profile appearance makes you more decent. 5. Large windows made by special explosion-proof membrane. You can have clear observation of the furnace process and can timely exclude sudden accident, being safe and reliable. 6. Independent smoke path. Both sides of the furnace have independent smoke path. The upper part has gas exhaust port and smoke exhaust. Steam convection is set on flank. 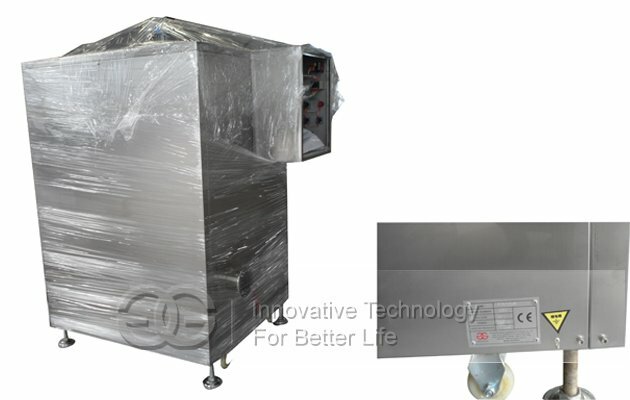 The purpose is to ensure that the upper and lower furnace temperature is the same and the effect of smoke from top to bottom is also the same,which avoid inconsistent smoked color.